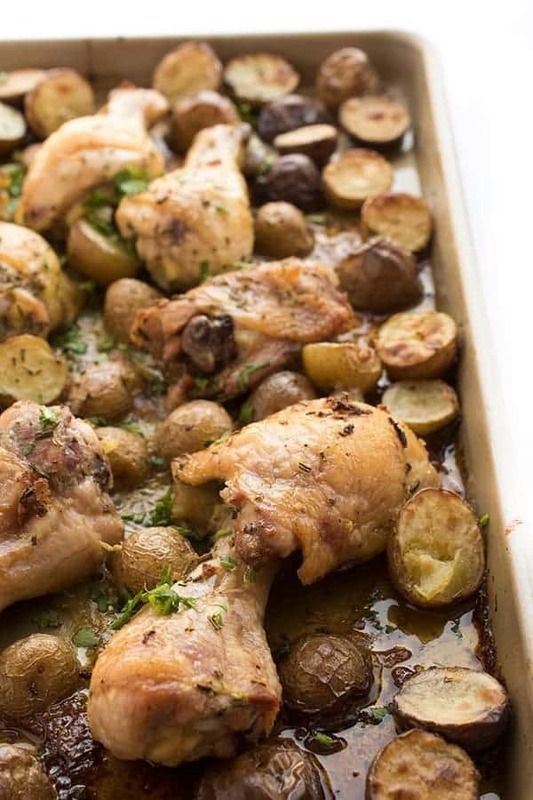 Chicken is marinated in lemon and garlic then baked in the oven until golden brown. 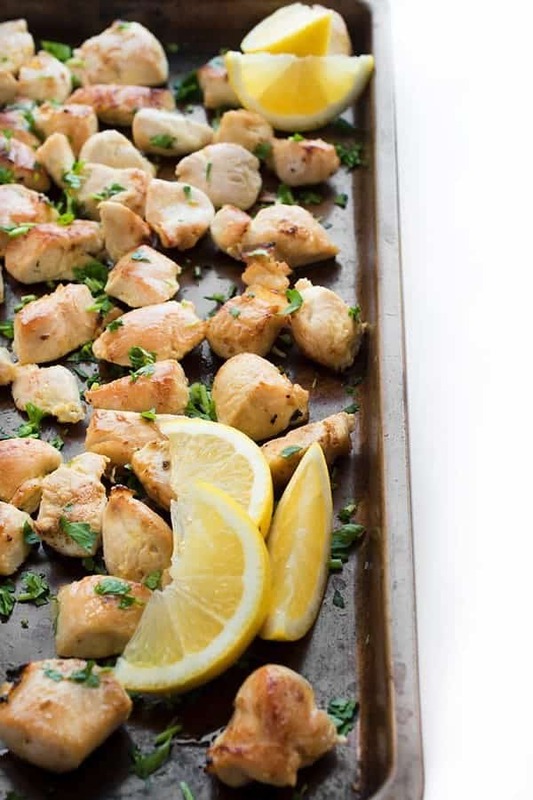 This easy, 5-ingredient sheet pan Lebanese Shish Tawook Chicken recipe is ideal for salads, pitas, rice and more. Responses are starting to pour in from my 2017 Reader Survey and you guys have already made it very clear: you want more of my family’s Lebanese recipes!! Ask and you shall receive, my friends. 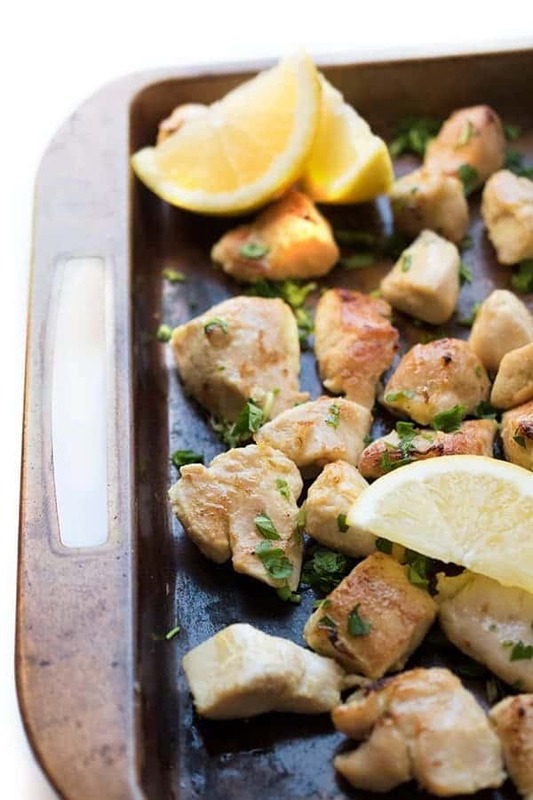 Hands down, Lebanese Shish Tawook Chicken is probably one of my go-to weeknight dinner recipes. 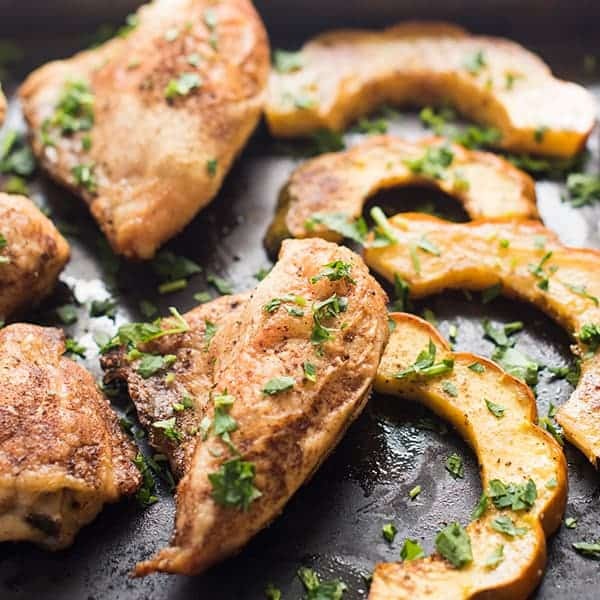 Traditionally made in a frying pan, I decided to make this 5-ingredient recipe even easier by baking it in the oven on a sheet pan. Flavored with plenty of bright lemon juice, fresh garlic and extra virgin olive oil, the chicken bakes in the oven while my hands are free to do other important things. 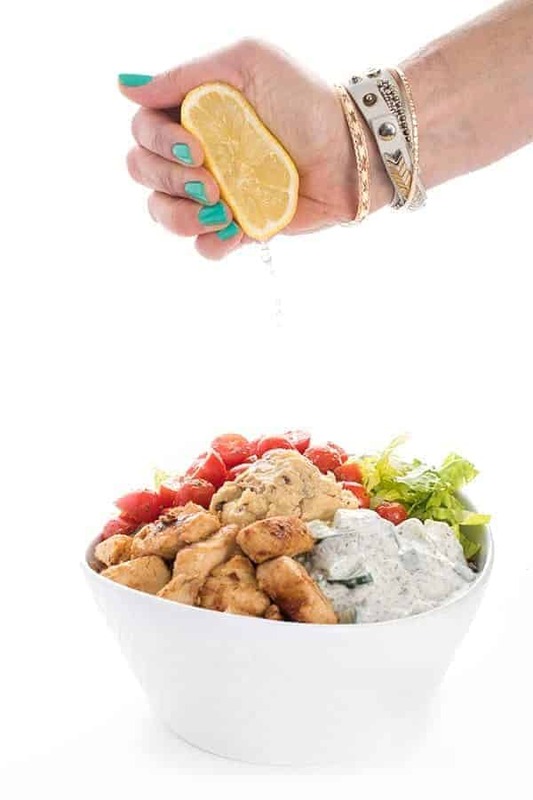 You know, like toss a quick Syrian salad or whip up a side of Lebanese cucumber yogurt sauce (laban.) 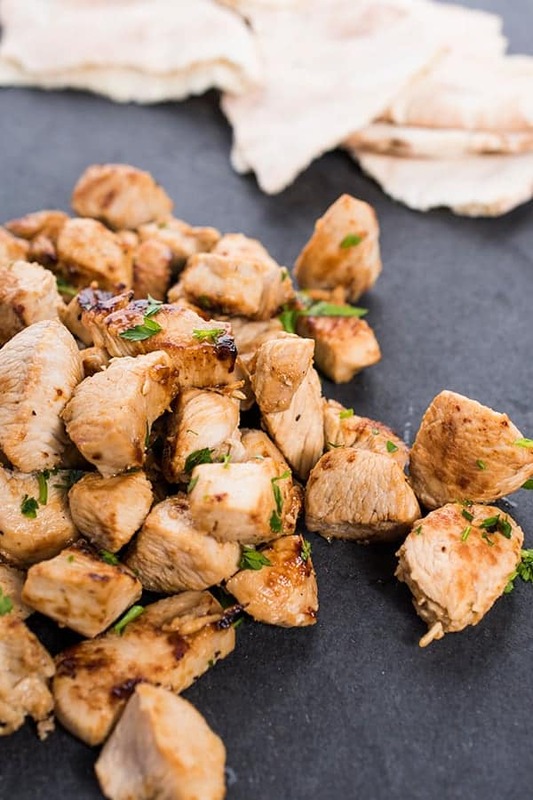 Shish tawook chicken is also delicious served over a hot bed of Lebanese Rice Pilaf. 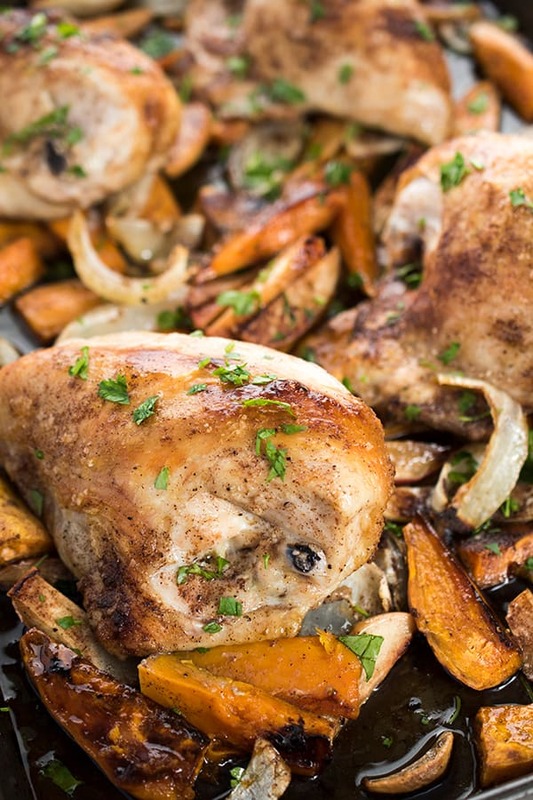 No matter how you choose to enjoy this Lebanese chicken recipe, I highly recommend making a double batch. Leftovers taste delicious the next day in a pita with creamy hummus or over a Lebanese chopped salad. 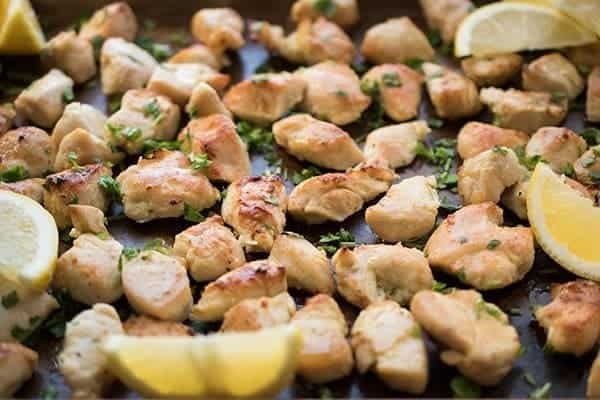 Chicken is marinated in lemon and garlic then baked in the oven until golden brown. 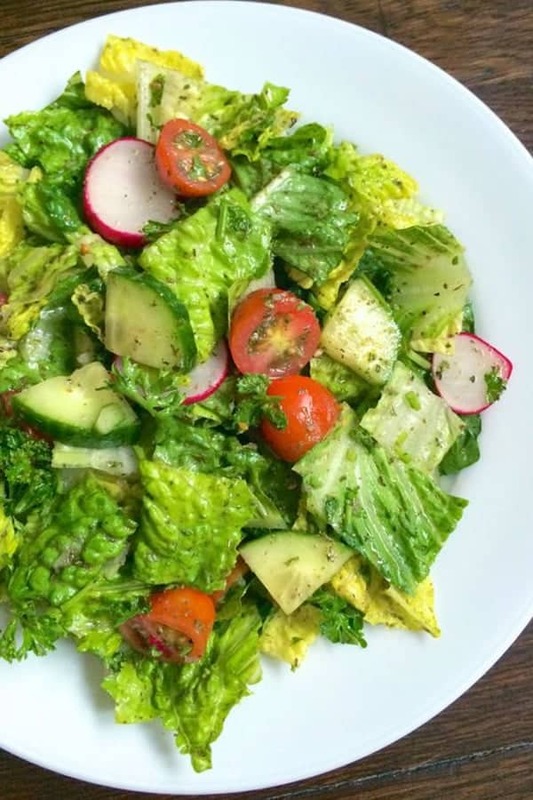 This recipe is ideal for salads, pitas, rice and more. Pre-heat oven to 350 degrees and spray a baking sheet with cooking spray. Spread chicken in a single layer and bake until golden brown and cooked through, about 20 minutes. 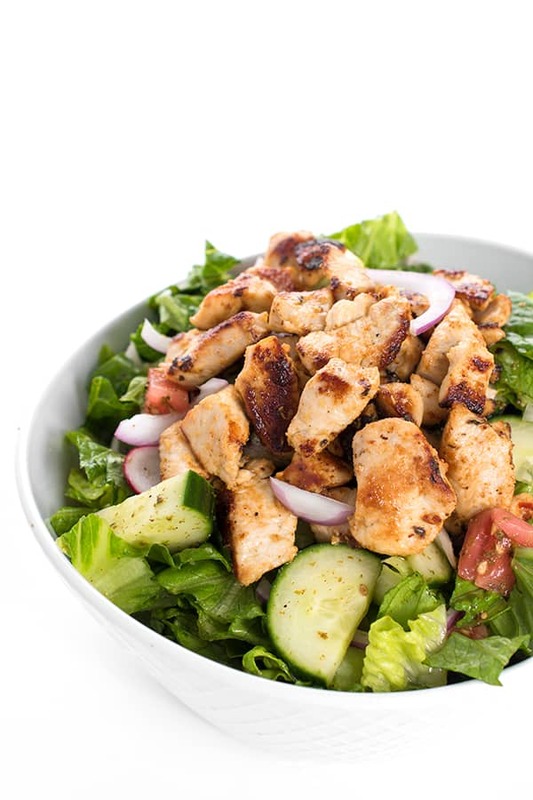 Delicious served over Lebanese Rice Pilaf or a Syrian Salad. Made a batch using chicken thighs. Super easy. Had some with my cauli fried rice for dinner tonight. Will have some with my salad tomorrow. what is the green stuff you sprinkled all over the chicken before you cooked it? Always in for simple and multi use solutions ! Thank you for inspiration ! This recipe! It is so simple, but look at the delicious and perfect-looking results. Thanks for sharing!